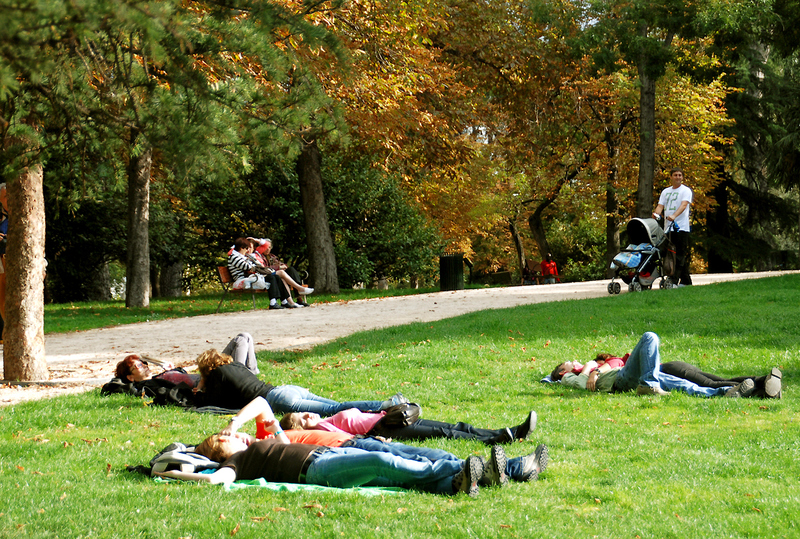 “el parque del buen retiro”, which is commonly known as “parque de retiro” is one of the best parks madrid has to offer. 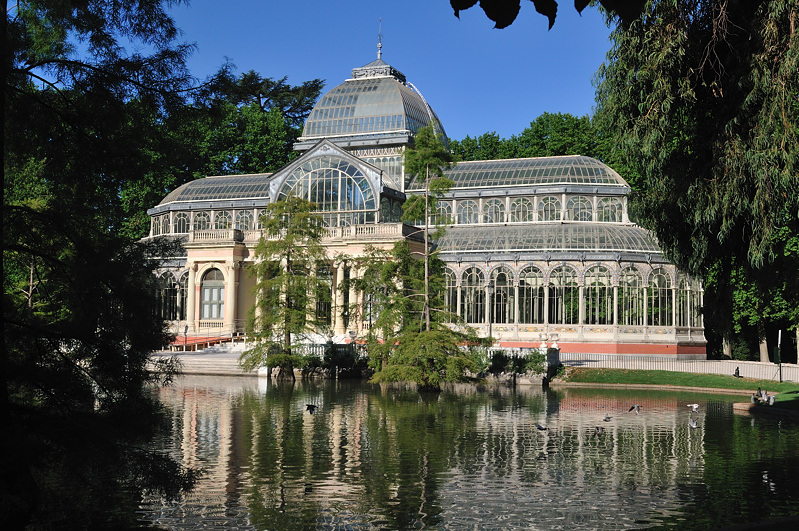 relaxing, beautiful and with a fair amount of monuments and sculptures, el retiro is one of madrid’s first attractions and an open air sculpture museum. in 1505, the time of isabella I, the royal family had this retreat built as part of the jeronimos monastery. at the times of king phillip II and king phillip IV the park is extended until in 1767 it becomes open to public. 1- monument of alfonso XII: in 1902 a national contest was held to design a monument for king alfonso XII at the initiative of the queen mother maria christina of austria. the winner was the architect josé grases riera. after his death, the job was finished in 1922 by teodoro anasagasti sticking to the original design. built in 1887 to exhibit flora and fauna from the philippines, in the shape of a greek cross, the crystal palace is made almost entirely of glass set in an iron framework on a brick base, which is decorated with ceramics. its cupola makes the structure over 22 metres high. the beautiful crystal palace, in front of which lies a small artificial lake, is now mainly used for temporary exhibitions. the statue represents the moment lucipher is expulsed from paradise to become satan and is probably the only public statue in the world dedicated to the devil. 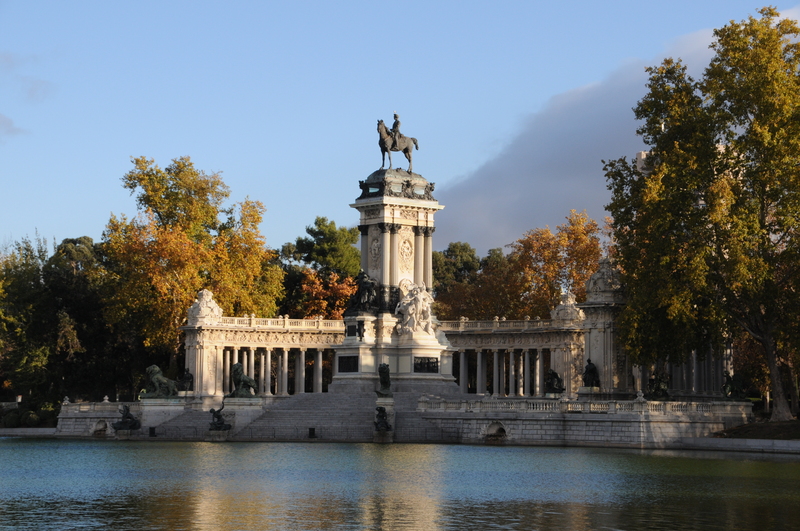 the retiro park is full of statues, fountains and gardens to decorate it. its great extend offers the opportunity to many people to enjoy this burst of nature in the middle of the city. a sunny day is ideal to spend there! in front of the monument of alfonso xii lies a big artificial lake which offers the possibility of renting boats. a relaxing escape from the fast pace of the city! next to the lake various musicians, dancers and magicians give a show for you to enjoy, while next to them people sell handmade jewelry and souvenirs. activities like bicycling, roller blading, having a picnic are all doable in this big park. the lively ambience, the mixed music sounds the colourful trees and flowers are a great recipe for a sunny escape, so whenever u have the opportunity to visit the park, grab it! 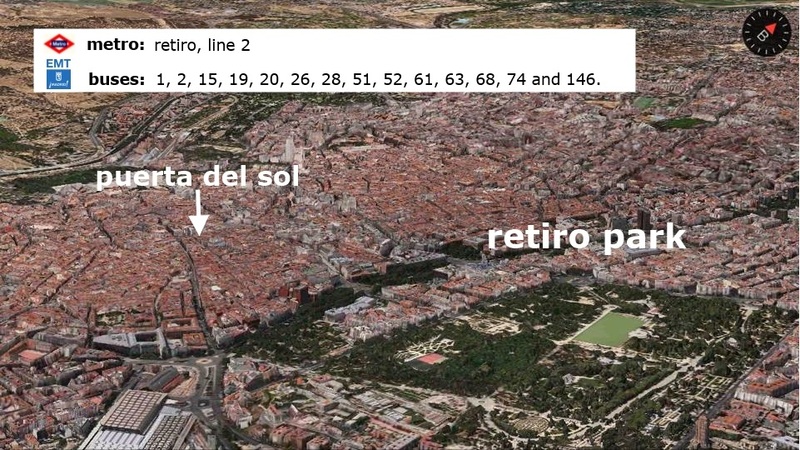 whichever way you choose to spend your time at the retiro, it is for sure you will enjoy it!